Autologue Design is back with their third concept for an even better hyper riding experience on the 2018 Bajaj Dominar. 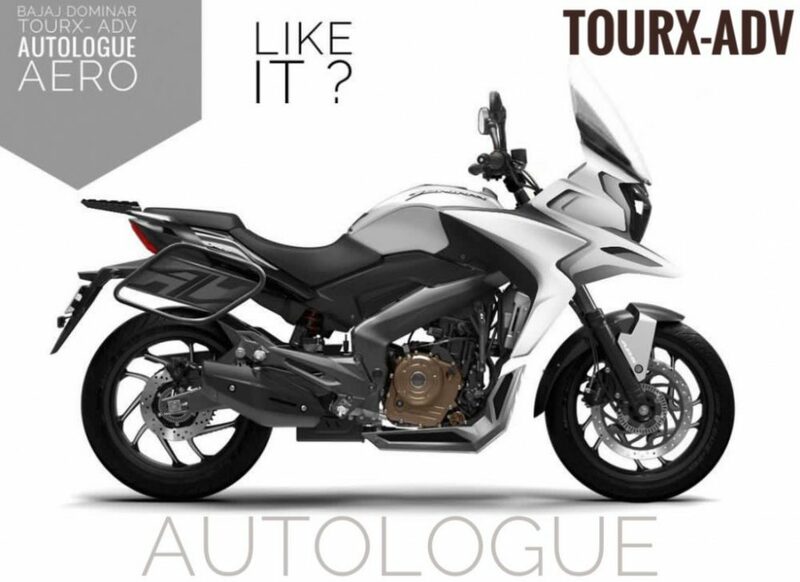 Named as Dominar TourX-ADV, the advanced version of their earlier designed kit looks much more promising than before. 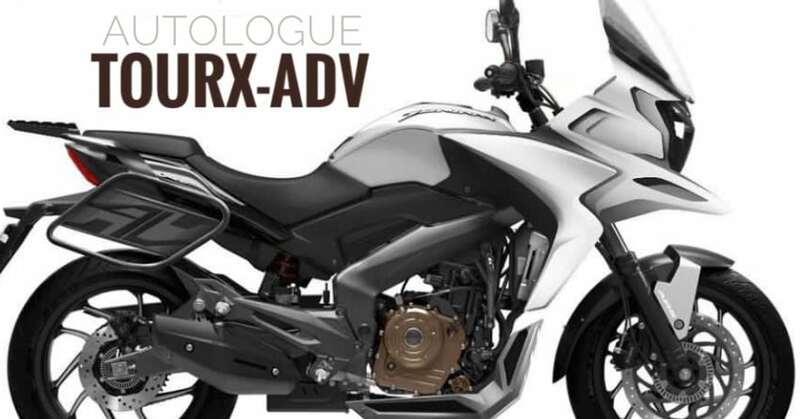 They have used a forward extending design language, keeping the standard fuel tank intact and moving the headlight further away from the handlebar. The tank extensions have grown in both directions, neatly covering the radiator area on the lower side and almost similar extended fender length as the original one. The stock headlight is neatly fitted within this new frame, using an extended visor for effective wind protection. The rear end is seen with a luggage mount on both sides and custom grab rail with more space for mounting a duffle bag. The lower end is imagined with a metal engine protector. The details mentioned here are based on the rendering that Autologue Design posted online. Like other kits made before this one, they will first gauge user response and then let the version enter production on their side. Dominar 400 is a versatile machine with a good amount of power for highway cruising and even better riding dynamics for short city sprints. 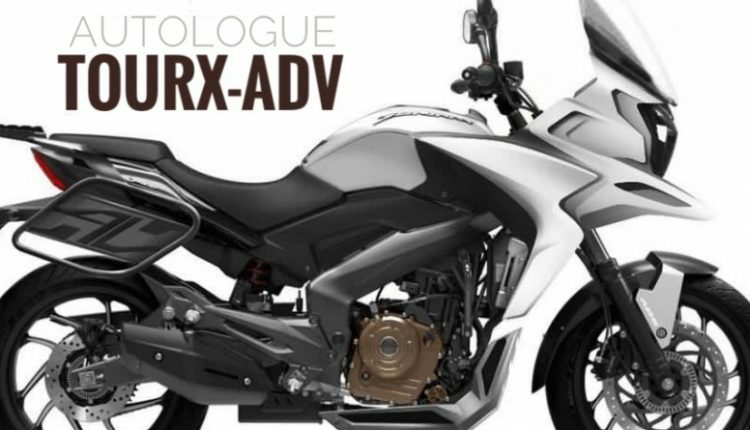 However, the popularity of Dominar 400 was limited to cult followers, all thanks to negative publicity for the motorcycle in its initial days and presence of Royal Enfield Classic 350 around the price segment. It is yet to be seen how the motorcycle performs when buyers have the chance of getting ABS on the new Classic 350 Signals for the same price as Dominar. The flagship Bajaj motorcycle is priced at INR 1.48 lakh for the non-ABS and INR 1.62 lakh for the ABS model. The powerful motorcycle comes with a 373.2cc, single-cylinder engine producing 35 HP of maximum power and 35 NM of maximum torque.